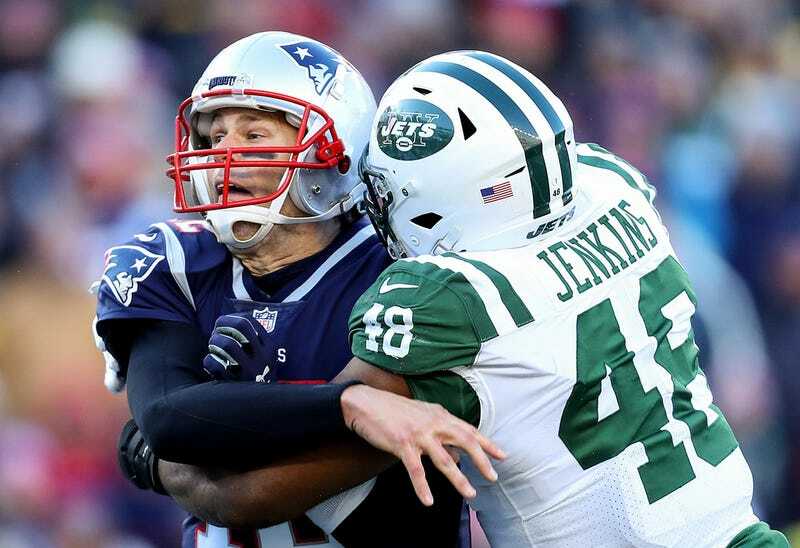 Maddie Meyer from Getty Images photographed today’s Jets-Patriots game. She got some excellent photos of Tom Brady, like the one above. Want more? She has more! Anyway, the Patriots beat the Jets by five touchdowns and will have a first-round bye again. Enjoy these photos of Tom Brady, though. I Can&apos;t Stop Thinking About Jim Nantz Calling Tom Brady "Mr. Cool"